Let’s face it – Atheism has a negative connotation left over from the 50’s that it is evil and part of communism. This is absolutely false. When one explores atheism, they find a more peaceful approach without having superstitious religious dogma that clouds the eyes of science and reality. Our TV shows explores this secular philosophy by asking prominent secular leaders their opinions on religious and non-religious issues. 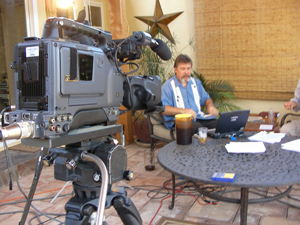 3/3/12 Update: The Orange County Atheists TV Show was on major cable stations in Orange County for several years. As of March of 2012 we have not produced additional shows, but many are on Youtube.